Bougainville is situated in the Solomon Sea between Papua New Guinea (PNG) and the Solomon Islands. The population is about 200,000 with considerable cultural diversity. English and Pidgin are the languages spoken on the island, along with 21 distinct indigenous languages. Throughout its history, Bougainville has been under German, British and Australian control. Contrarily to the locals’ wishes, in 1975, Bougainville came under the authority of Papua New Guinea. In 1988, violence escalated and the Bougainvilleans organised into the Bougainville Resistance army (BRA) against the PNG Army. 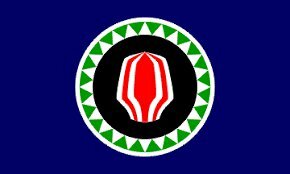 Two years later, Bougainville declared its independence and established the BIG. Subsequently, the PNG government placed an economic and communications blockade on the island. In 1994, the representatives of BIG, BRA, PNG and the Solomon Island signed a cease-fire agreement. However, the same year, a new military offensive was launched by the government of PNG. The Bougainville conflict ended in 1997, after negotiations brokered by New Zealand. In 2000, all parties signed a peace agreement which provided for disarmament and the establishment of an Autonomous Bougainville Government. In January 2016, the Autonomous Bougainville Government and the government of Papua New Guinea agreed to establish the Bougainville Referendum Commission. The Commission is tasked to prepare for a vote on Bougainville's future political status, with a draft date of 15 June 2019 set for the referendum.